How do I resize a jpeg? "How to resize a JPG?" is one of the questions that users have when dealing with hundreds of images. Almost everyone knows that pictures can be resized one by one in such popular programs as Paint and Picasa. However, few people know what to do when they need to process pictures in batch. The answer is to the question is simple indeed. All you need is a good image resizer, like Batch Picture Resizer 4.0 by SoftOrbits. 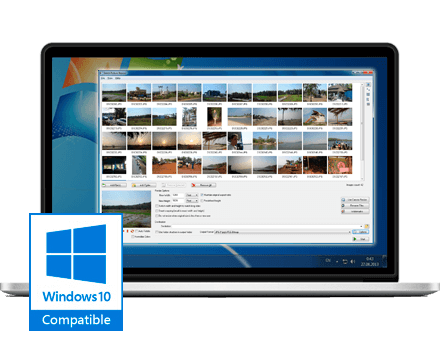 With this program, you can automatically process files, even if you�ve got hundreds of pictures to go. Simply select all the images you want to resize, set the target size and enjoy automatic processing. SoftOrbits guarantees it won�t take long and the target files will have the same quality and as the input ones! With Batch Picture Resizer, you can also convert files to JPG, BMP, RAW, TIFF, GIF, PNG, PCX, TGA and other formats, and edit output images. Download free 30-day trial version of Batch Picture Resizer today!